Congratulations on entering week 27 of your pregnancy! Your baby, now weighing approximately 2 pounds, is continuing to rapidly develop. Let’s see what kind of progress he or she is making. This is the final week of your second trimester. You have come a long way and only have one more trimester to go. Week 27 pregnancy includes the following exciting statistics about your baby in order to let you know how far along they have come since the moment you found out you were pregnant approximately six months ago. They weigh almost two pounds and are the size of a head of cauliflower. When legs are extended fully, your baby measures nearly fourteen and one-half inches long. Your baby is sleeping and waking at consistent intervals (opening and closing eyes), and might even be sucking fingers at this point. Their brain is extremely active. The lungs are still immature but, with the help of modern medical technology, are quite capable of functioning in the event that your baby had to be born now. Hiccups coming from your baby should be common and welcomed. These subtle, rhythmic interruptions should last only a few moments at a time and there is no discomfort to your baby so… enjoy. As your last week of the second trimester comes to a close, you can expect the third and final trimester to usher in a few new symptoms for the last few months. Due to the extra weight you are taking on, your back and legs are being forced to strain and perform more than they are accustomed to. An aching back and leg cramps are common at this stage. The extra weight that is being carried, combined with an expanding uterus, both apply pressure on the veins that are instrumental in returning blood from your legs to your heart. This added pressure also burdens the nerves in your trunk region down to your legs. Stretching the calf muscle will soothe the pain. Straighten your leg and pull your toes back towards you. Gently massaging the calf with your other hand will help. Continue pulling your toes and stretching your straightened leg until the pain is gone. To help prevent this sort of cramping, it is important to drink plenty of water and to increase potassium intake — whether this means eating more bananas or supplementing potassium with a vitamin. With so many new feelings, sensations, aches, and pains that accompany pregnancy, it can be difficult to interpret what is normal and what might call for alarm or a call to your doctor. 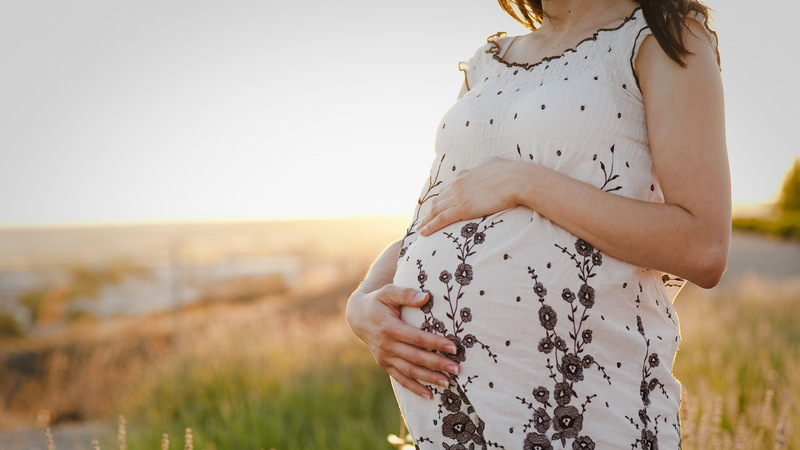 Then, depending on your health history, some symptoms can be less or more severe for you than other pregnant women, and certain symptoms become critical to address depending on how far along you are in your pregnancy. It can be very confusing, but to help you understand what to look for if you are alarmed about a symptom you are experiencing, here is a list of common symptoms, which should generally warrant a call to your doctor if experienced. Pelvic pressure (a feeling like your baby is pushing down in a way you’ve never felt), lower back pain (particularly if it is unlike anything you have ever felt), menstrual-like cramping, or four or more contractions within an hour (even if no pain is involved). Your baby is significantly less active than usual (reduction in general movement and kicking). Vaginal bleeding, spotting, or water-like discharge. Pain or a burning sensation while urinating, or a noticeable decrease in urination. A fever of 100 degrees Fahrenheit or more, which may include vomiting. Persistent headaches followed by blurred vision, slurred speech, or feelings of numbness. Any swelling, excluding the common and gradual swelling in fingers or hands. For example, rapid swelling in your face or sudden swelling in your legs are warning signs that you should contact your doctor. You should not gain more than four pounds per week. Monitor any fainting sensations, dizziness, heartbeat rapidly increasing, or palpitations. Any health problems you would normally call your general doctor about, whether related to pregnancy or not, should be taken seriously in the event that the condition worsens. For example, asthma that becomes harder to deal with rather than treatable or a cold that continues to get worse for a longer period of time than you are accustomed to. If you experience any symptoms not listed above, you are encouraged to call your doctor if you are concerned. If there is a problem then it will be addressed immediately, and if it is nothing, then you will receive peace of mind.